2-point adjustable sling for most rifles. Hypalon pull slider for quick adjustments to sling length. Attaches via rope loops on each end. 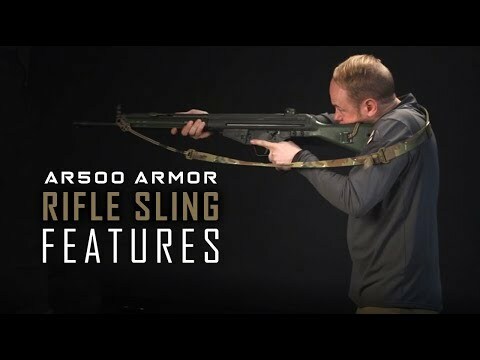 This sling seems to be a good option for an inexpensive carry sling for any rifle in need of such but my question deals mostly with the aft portion. With the Paracord material as-is, there is little to no padding in the region where the sling would reside when suspended on the shoulder as the user hikes or standing guard for two examples. This seems like it would become EXTREMELY UNCOMFORTABLE in short order with the cord/buckle/etc., residing on thinly padded skin. 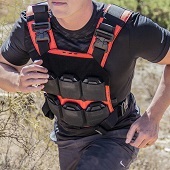 Granted it is presumed that the user "might" have other materials or garments already in place (like the straps of a plate carrier, magazine carrier, assault pack or basic uniform or other garments) but without some intervening material I can forsee LOTS of discomfort and, perhaps, some chafed or pinched skin. NOT good when that compromised body part(s) are attached to your shooting shoulder, I might add. TIA for any suggestions but I'm already leaning towards buying one of these due to the excellent pricing. Thanks, AR500, for providing quality gear at very fair prices. That's why I continue to return when I need additional gear.